Perth High School Higher Geology students were disappointed to hear that the subject was to be phased out by 2015. 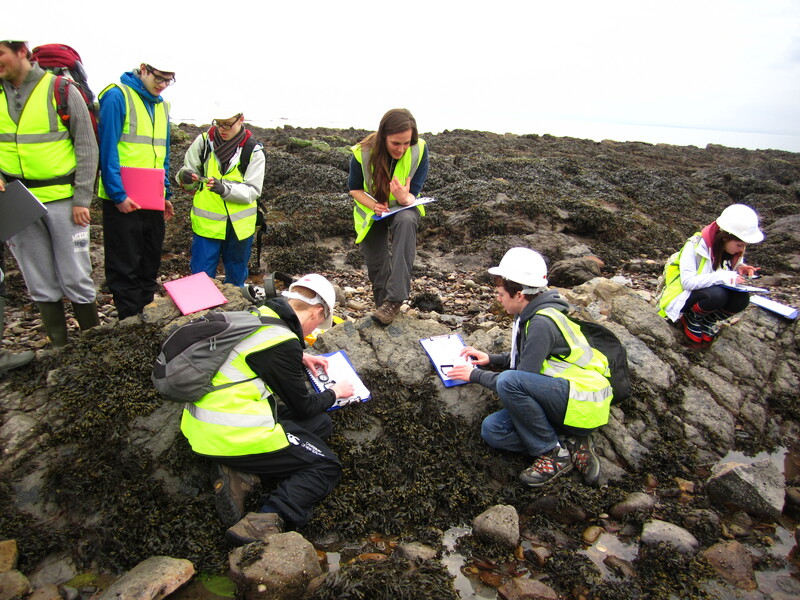 With the support of the Royal Scottish Geographical Society and the Scottish Geodiversity Forum, they organised a two-day conference in March 2013 for all pupils taking Higher Geology in Scotland to raise awareness of the value of studying earth sciences at school. Scotland Rocks attracted key employers and leading academics, including RSGS President and Forum Patron Prof Iain Stewart. The students played a key role in deciding the content and format of the conference. The programme included a field trip run by Dr Ruth Robinson and her Geobus team from the University of St Andrews, an evening reception at the RSGS headquarters and a full day of practical workshops. The conference finished with an expert panel answering the student’s questions about our future energy challenges, including the risk of extracting oil, and the controversy of ‘fracking’. Local MSP Liz Smith invited the pupils to deliver a lunchtime presentation to MSPs in Holyrood, highlighting how they had benefited during their year of studying Higher Geology. Armed with data from the University of St Andrews, which showed a great deal of support particularly from Geography teachers, the students’ enthusiastic presentation provoked a fascinating discussion amongst the cross-party audience about the value of Geology (and Earth Sciences) in the Scottish curriculum. This led to a meeting with the Science Minister and an opportunity to suggest the development of a new Higher in Earth Sciences.